Presented in partnership with New Amsterdam Presents, Contemporaneous plays the first ever performance at their brand new space! Contemporaneous presents an evening of two masterpieces of the music of now that explore compelling themes from the Hebrew Bible. Digging into the sounds of our world sends us deep into the cultural roots of two of America’s greatest composers: Judd Greenstein and Steve Reich. Brooklyn-based composer/curator/performer Judd Greenstein is deeply inspired by his Jewish heritage, which provides inspiration for his large-scale work Vayomer Shlomo (And Solomon Said). Greenstein combines Hebrew and English texts about King Solomon to create a unified and affecting meditation on the nature of human interactions. The work is scored for three female voices accompanied by a rock-infused ensemble, including electric guitar and bass. One of Steve Reich’s seminal works, Tehillim has an unmatched ebullience and timelessness. A setting of alternately jubilant and inward Hebrew Psalms, this is transcendent music for four intertwining, pure-toned female singers with a rhythmically driving and harmonically arresting large ensemble, including six percussionists and two organs. 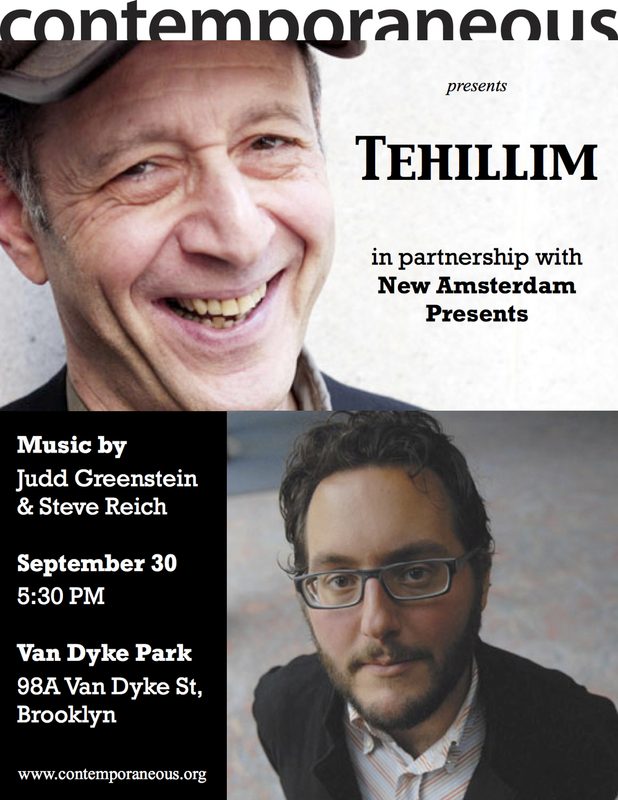 Tehillim is undoubtedly the spiritual father of Judd Greenstein's work, which makes this an exciting pairing.